Time for the Cincinnati real estate health check. The sale of single family homes is flowing and, except for a very short supply of homes for sale, the “patient” looks healthy. The chart below reflects just slim the pickings are when it comes to homes and condos for sale. 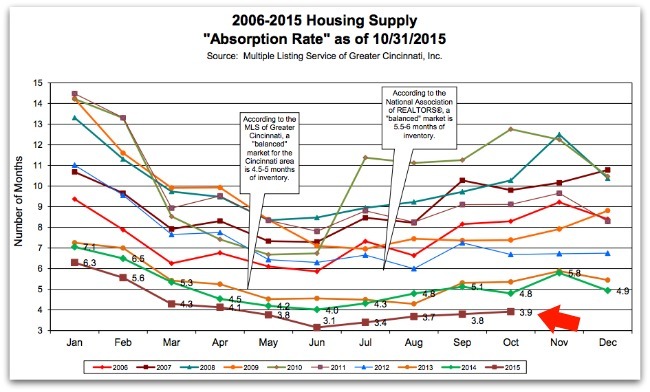 At the end of October the housing supply was below 4 months- considered ideal for sellers. However buyers aren’t jumping to purchase overpriced homes- so adjust your prices accordingly. Good news November 2015 was ahead of the same month in 2014 in all categories, gross dollars, number of homes sold and average sale price. 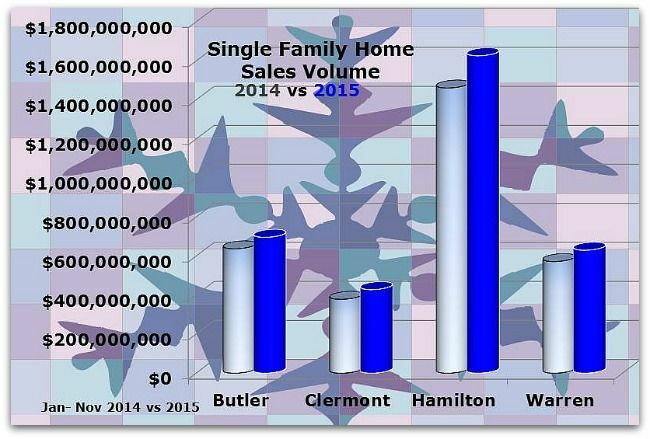 Single family home sales volume for the 4 counties. Data pulled from the CincyMLS. Holiday celebrations and the winter months are ahead of us and if the weather cooperates home sales should continue to tick. 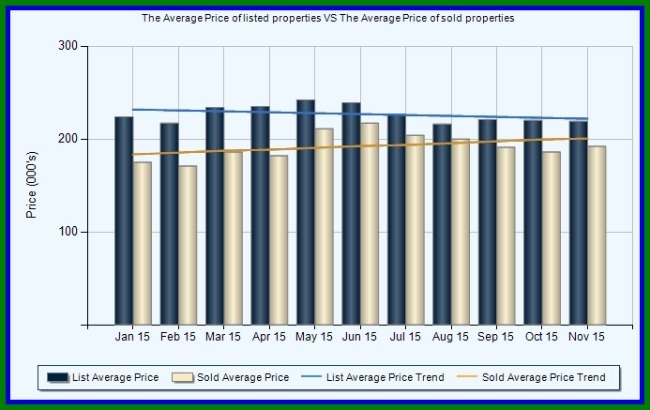 The average listing price versus the average sale for the greater Cincinnati area remains stable with just a few bumps through 11/15. Lots of questions about the impact on real estate when interest rates rise. Initially the sound I hear the most is people smacking their foreheads wondering why they waited to buy a property. After the initial disbelief dies down sales will go on. Both buyers and sellers will adjust to new interest rates …and to be blunt- life goes on. Short of rapid, substantial interest rate increases the real estate market should remain healthy.